Rather sad news, Two earthquakes with magnitudes of 5.1 and 4.5 have hit the centre of the Murcian town of Lorca, killing at least ten people, after several buildings collapsed. Although minor tremors are relatively common in south-east Spain, this the first time since 1956 that so many people have been killed. Almost 200 soldiers have been dispatched to the area. Satellite image of the Strait of Gibraltar from NASA found on Wikipedia. Algeciras Harbor is the prominent notch cut out of the eastern end of the north shore of the Strait; the Rock of Gibraltar is the tiny arrowhead that separates the notch from the Alboran Sea. The Sierra Nevada, farther away down the Spanish coast, lives up to its name in this April scene. The difference in elevation between the Sierra Morena and the Guadalquivir River valley is highlighted nicely by cumulus clouds. Tangier, Morocco can be seen as a light-toned spot on the southern shore of the Strait, near the entrance to the Atlantic Ocean. Spain has given the world a limited number of mineral names, including Aragonite. Aragonite was first identfied by one Abraham Gottlob Werner from a piece from Molina de Aragón (Guadalajara), which he erroneously believed to be in Aragon.The largest deposits of Aragonite in the world are found in Molina de Aragón, and in Minglanilla in Cuenca. From a geological point of view, Spain is extremely varied with sites as old as 600 million years and showing rare examples of the planet’s evolution. Two parallel projects now seek to document this national heritage. 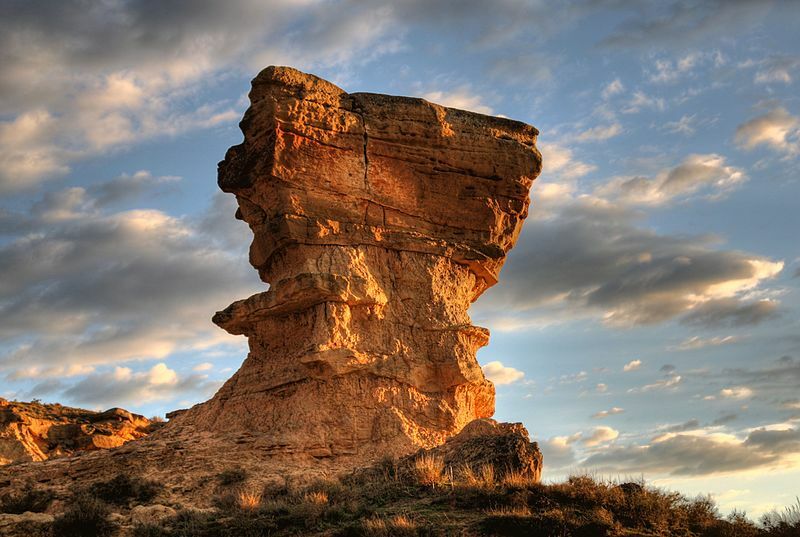 The aim of the first project is to include 144 Spanish sites on the Unesco world list of outstanding geological sites. The second project seeks to create a Spanish catalogue of geological sites of interest, which will then allow them to be protected by law, and include sites in Abella, Isona and Camarasa, in Lérida; Punta Aitzgorri in Zumaya (Basque Country), and the Sorbas reefs in Almería. Other interesting places to be protected include the amber deposits in Peñacerrada, El Soplao, in Cantabria, the carboniferous forest of Verdeña, and the ichnite (dinosaur track) sites found in a number of areas. Excellent post from Steve on the forum “Some 5.5 million years ago the force of Africa colliding with Europe, closed the straits of Gibraltar, sealing off the Med, which then evaporated over 2000 years. The straits were then breached by the Atlantic and the basin filled up again over 100 years. This happened many times and resulted in massive salt accumulations. The Nile and Rhone created deep canyons as they cut down to the deep desert basin than had once been the Med” Read complete post Also watch this video.